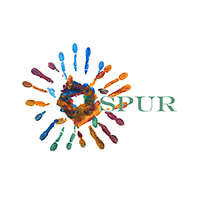 SPUR is a 100% volunteer-led charitable organization established to inspire good deeds, provide meaningful volunteer activities to individuals of any age and offer service learning opportunities for our next generation of leaders. Our efforts strive to make a tangible difference in the lives of both our recipients and our volunteers while we give back to the Lynn, Marblehead, Salem, Swampscott communities and beyond. SPUR provides a platform for participants to engage in activities important to them. We believe people want to make a positive impact and recognize that individuals and families are incredibly busy today. By providing flexible ways to unite and engage through volunteerism, service learning and acts of kindness, we empower participants of all ages to cultivate a passion for volunteerism. Whether you’re 2 or 82, together we create a community of doers, committed to SPUR love and good deeds. Applications are always open to join our volunteer committees. View descriptions and apply online. In honor of Earth Day, SPUR is organizing a massive effort with Salem Sound Coastwatch to pick up trash and debris from selected beaches and open spaces in Marblehead, Nahant, Salem and Swampscott. The cleanups will run from 1:30 to 3:30pm. Bring a friend, meet a neighbor and have fun! Sign up online, or for more information contact SPUR via web form.